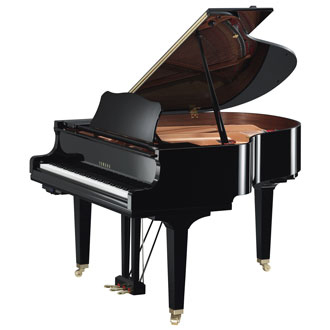 An acoustic piano with volume control, or a digital piano with strings? Yamaha's latest development stretches the imagination and opens up a whole new world of possibilities. Most importantly, a TransAcoustic piano is a wonderfully crafted acoustic piano produced in-house through Yamaha's vertically integrated manufacturing process. This guarantees high-level playability, long lasting durability and a beautiful sound. When the hammers strike the strings, vibrations travel through the solid-wood soundboard creating a vibrant tone that will stimulate the senses.